Price term(CNF price), we only pay for the shipping cost to the seaport. And buyer need to pay the fees when the package at destination port. We afford the cost of export customs declaration, carriage to port of export, uploading of truck in port of export, carriage to port of import and insurance. And buyer need pay the cost of unloading in port of import, loading on truck in port of import, carriage to place of destination, import customs clearance, import duties and taxes. Shipping by sea, please tell us the nearest sea port, we need to check the shipping cost and only delivery it to the seaport, you need to pick it up by yourself. Or you have your own forwarder will be much better. And delivery time will takes 23-40 days according to the country, please notice that. This item is out of stock, we need 15-25 days to produce. We accept customize if you have requirement for the logo or any details. Buyer need to pay import taxes. If you need declare low value, please notice that we are not responsible in the customs clearance problems and shipping delay. Better Service: Please contact us before you placing an order, we need to confirm the airport/port and the final product price. We would give you the best price. Biggors Gives You The Best! Chose Biggors Chose What You Want! 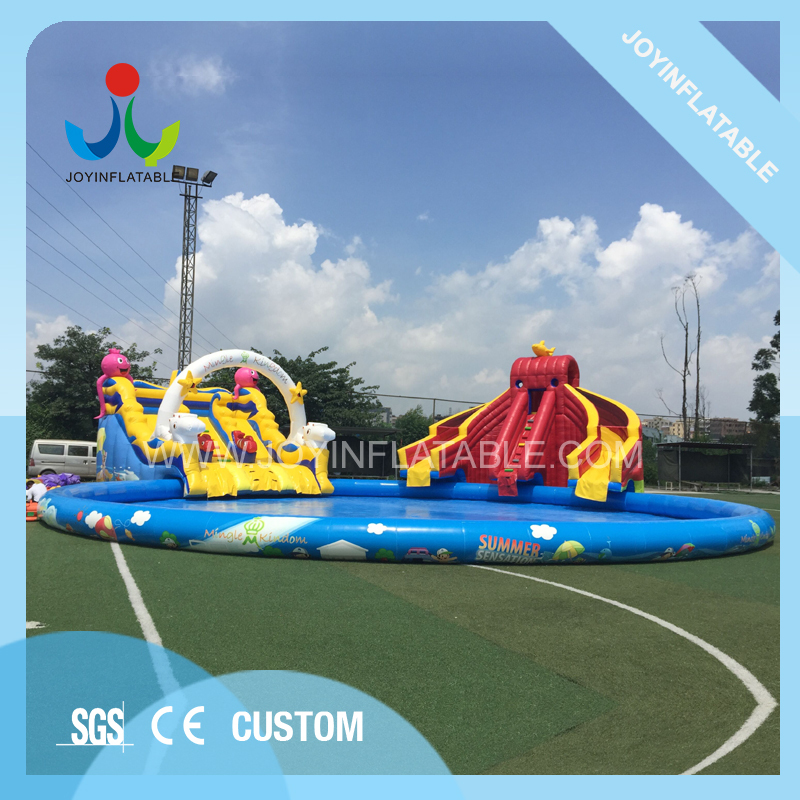 Material: 18OZ, 0.55mm PVC tarpaulin, Comply with ASTM and EN71 toys safety standards water-proof, puncture-proof, fire-resistant, lead free, UV protective. Blower: 1-1.5HP powerful blower for different items with ON/OFF SWITCH UL&CE approved. Packing: high quality gray carton for blower and carrying bag for inflatable products. 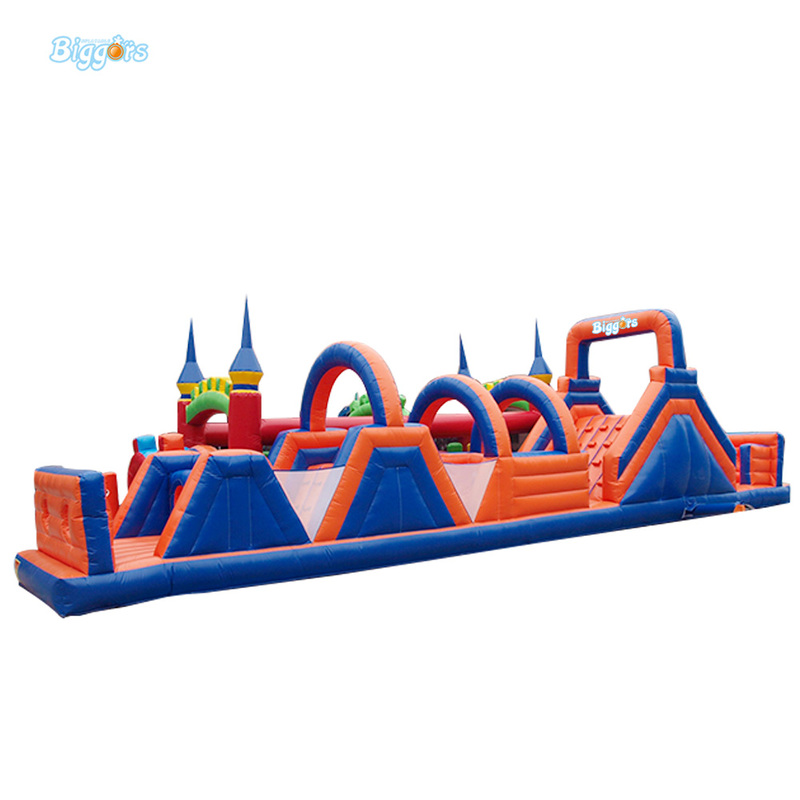 Place: used at backyard, amusement park, lawn, on site of activity, ect. Quality control: very strictly test and 100% inspection before delivery. Repair Kits, Packing Bag,Instruction,Glue, Air Blower. Q8: Can you help me to declare very low value so we could pay less tax in this case? A: Yes, we are very glad to help you save money and will reduce the amount of reporting appropriately. But the value can’t be too low, which may lead to inspection of goods and detention of cargo. It’s an advance statement that we are not responsible in this case. Q9: What are include in the package? PE balls conclude? A: There are blower, ground stakes pack, carrying bag, repair kit and instructions, water tubes for water slides. 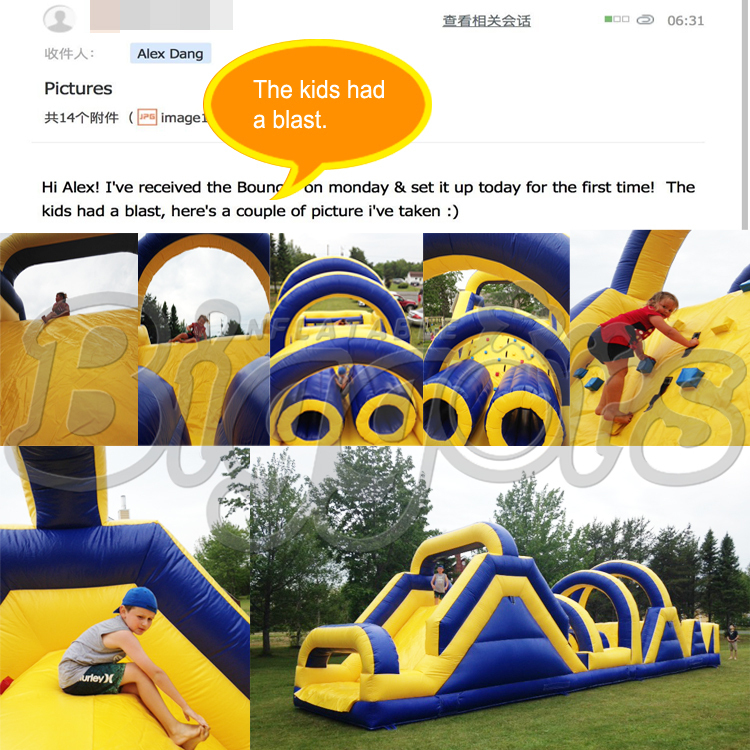 You need to pay additional cost of PE balls and net bags. Q10: The commercial items are remarked with free shipping by sea, but why should we pay other additional cost? A: As normal, the volume and the weight of our commercial product are very large, for this reason, cost is very high by express. Although it need more time to ships by sea, that’s an suitable and cheap way. And our free shipping is in CIF terms. It means you need go to the port and pick it up yourself, and pay the additional fees and tax.